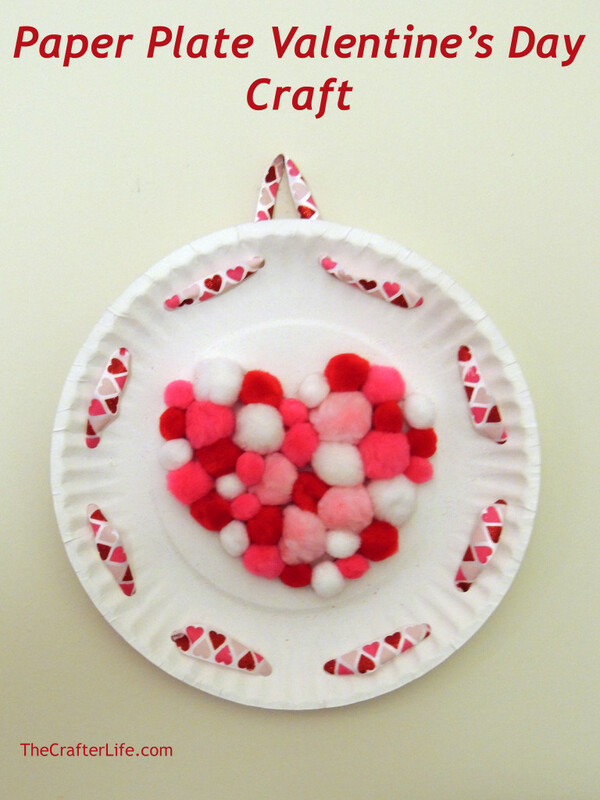 Here is a craft that kids can do for Valentine’s Day. 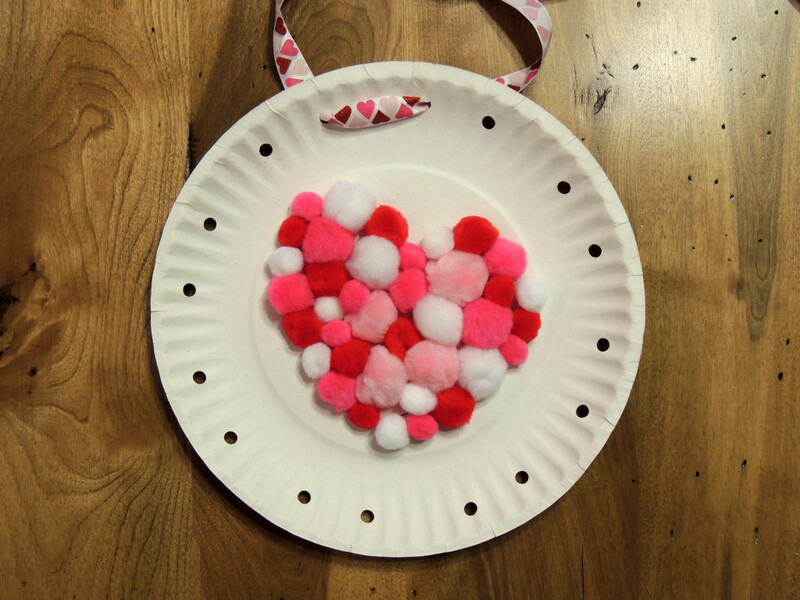 I had some leftover Valentine’s Day ribbon from my Conversation Heart Taggie Pillows and a lot of pom poms so I let my daughter use them to decorate a paper plate for Valentine’s Day. 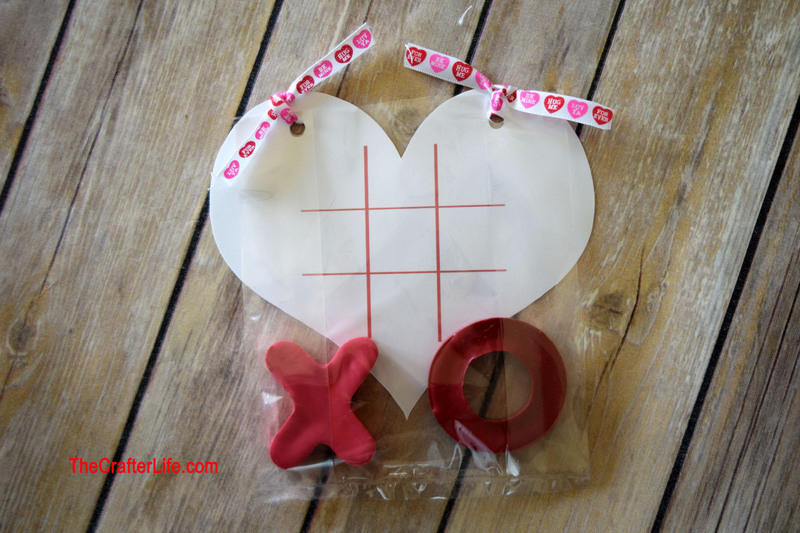 The finished project can be hung on the wall for a cute Valentine’s Day display. 1. 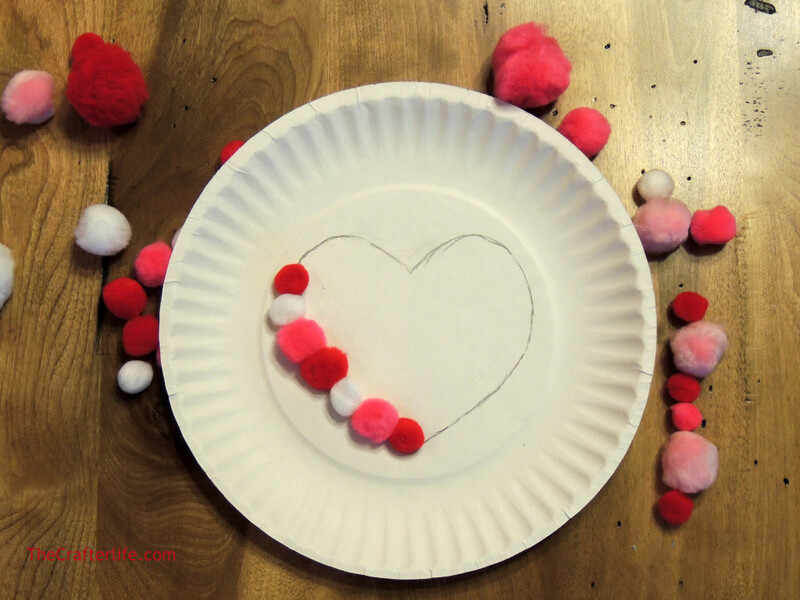 Using a pencil, lightly draw a heart in the center of the paper plate. 2. 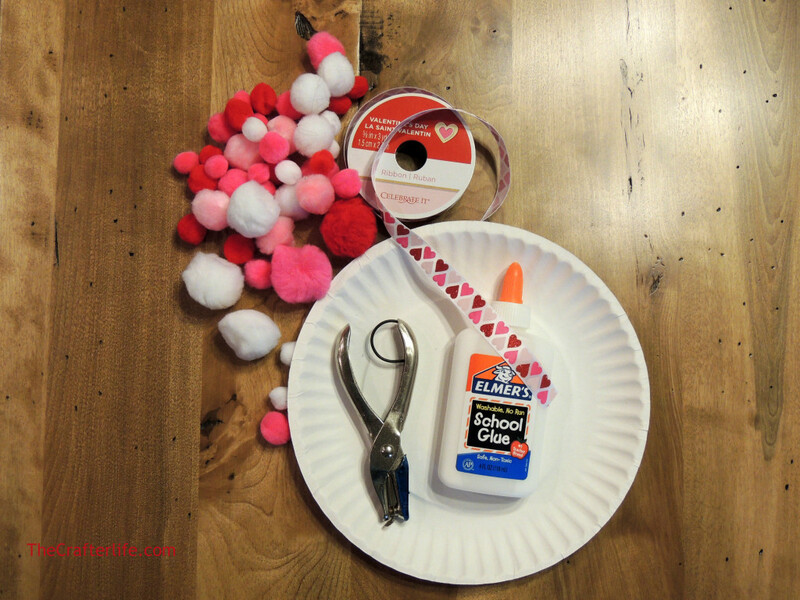 Glue the pom poms to the plate so that they cover the entire heart shape. 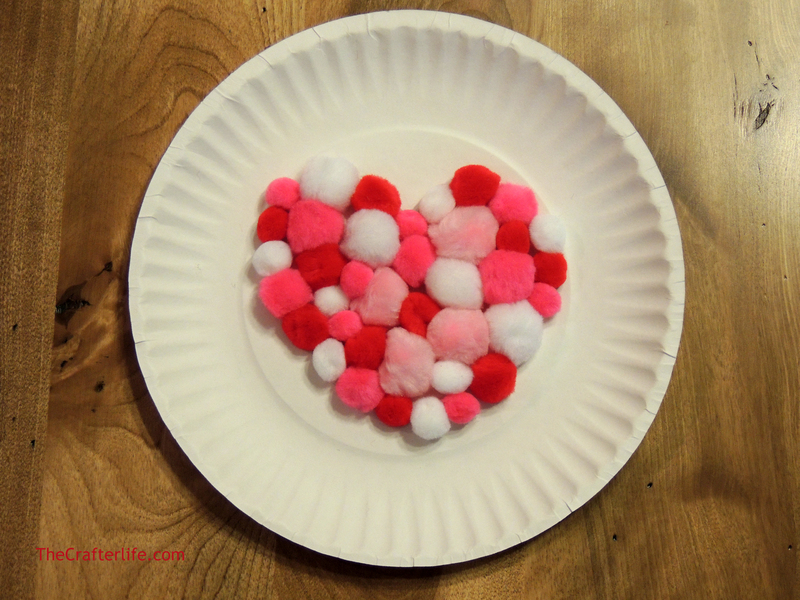 We started by gluing the pom poms along the outline of the heart. Then we glued them inside the heart. 3. Punch holes along the outer part of the paper plate. Make sure to place them so that when you go to weave your ribbon in and out, it will be even around the plate (I counted the ridges around the plate to help me determine where to place the holes). 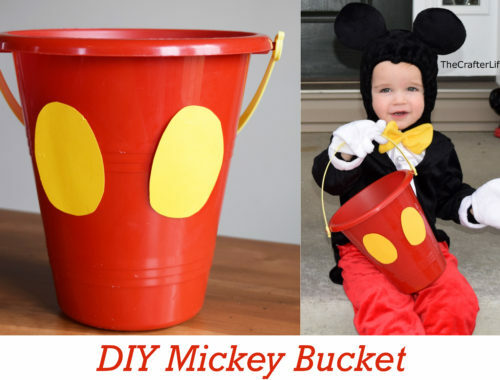 Of course, if a toddler or young child is doing this, they may want to punch the holes in random places and that’s okay too! 4. Weave the ribbon in and out of the holes to create the effect shown in the main picture. 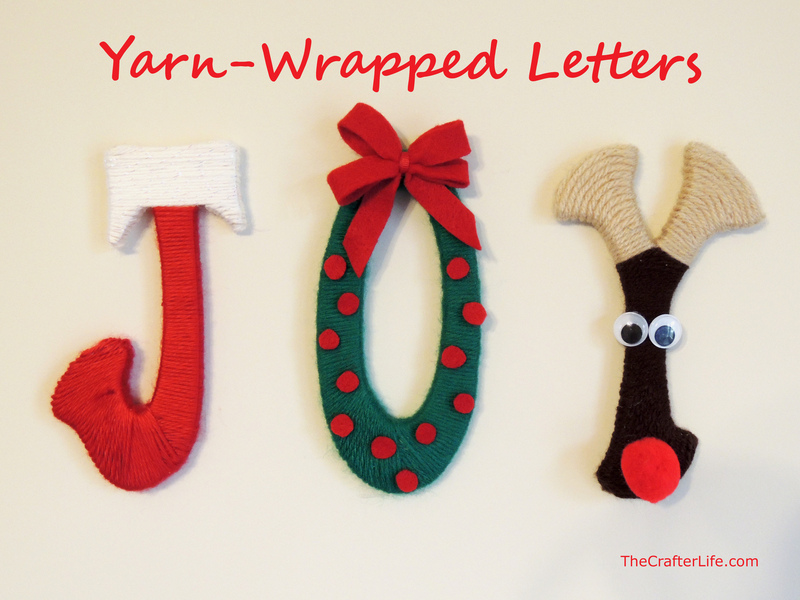 Using thinner ribbon may be easier (and thus less frustrating) for toddlers since it is tricky weaving thicker ribbon in the holes. Also, if you start weaving your ribbon at the top of the plate, you should finish at the top of the plate which will make it easier to hang since you can glue your two ends together to form a loop for hanging. 5. 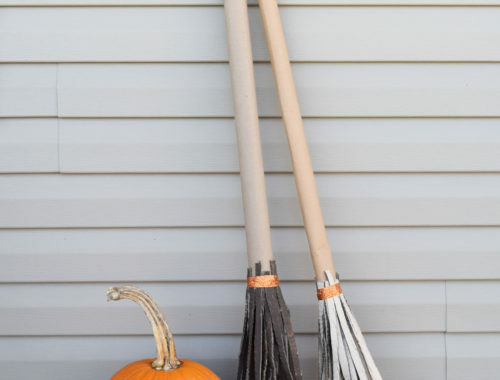 Now you are ready to hang your decoration! If you didn’t glue the two ends of your ribbon together at the top of the plate as explained in the previous step, you can simply use another piece of ribbon and attach it to the top of the plate so you are able to hang it.